June Challenge Wrap Up & Winner! 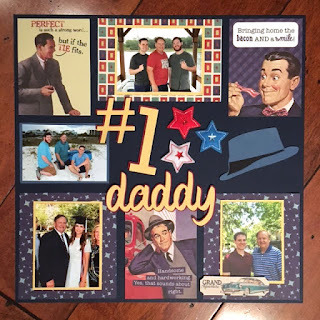 We are SO excited to share with you our fabulous fan projects from our June Blog Challenge of Father's and Sons! We loved this lovely wooden block by Cathy Fraele. She upcycled a wood block that's easy for Dad to set on his desk at work or in his man cave. We love her use of the Suave Collection for this project. Laura Gilhuly created a fantastic layout of her son using our Rugged Collection. We loved how she juxtaposed the manliness of the Rugged Collection against the gorgeous florals. It's just a lovely layout Laura! 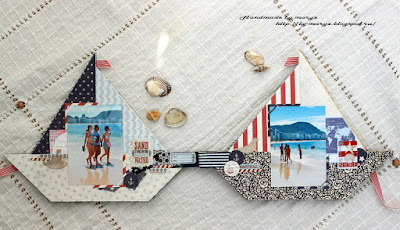 Maryz created an amazing mini album using our Anchored Collection. We just loved her classically beautiful combination of the sea images in her boat-shaped mini album. Beverly Jordan created three fun projects to share with us this for this challenge! Her first is a wonderful layout using our fabulous Dapper Collection. 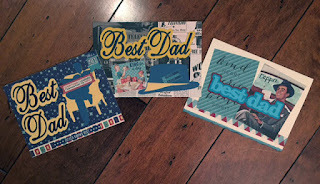 Her second project was a set of Father's Day Cards again using the Dapper Collection. 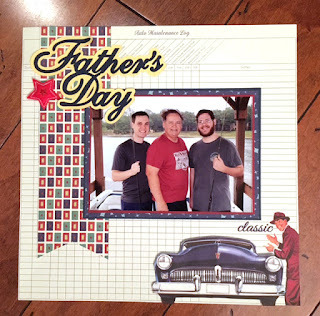 Beverly's last is a second layout for Father's Day using some wonderful die cuts she created and our Dapper Collection. 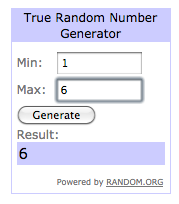 We just did a Random.org choice of who is going to be our June winner, and Beverly, you are the winner!! We will contact you this week for some information on how to get our prize your way! Thank you all for participating!! We will have another challenge heading your way on Monday! Wow!!! Thank you for choosing me!! LOVE everyone's projects!! So creative! Thank you!!! Very nice) congratulations to Everyone!